Do you feel overwhelmed with which healthy foods to buy at the grocery store? 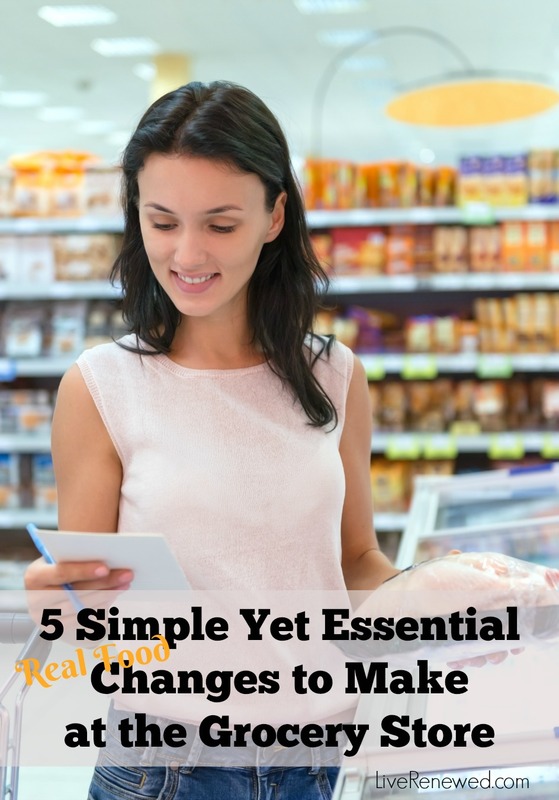 You need to make these five simple changes on your next grocery trip! I’m walking aimlessly up and down the aisles of the grocery store. My eyes are kinda glazed over and my cart is basically empty. My family needs food to eat, but I have no idea how to buy healthy food at the grocery store. Most of this food doesn’t fit into my vision of feeding my family only real, whole, organic, non-processed foods. And many of the foods that do fit that vision, don’t fit into my food budget. I really don’t know where to start. I wish someone would just tell me. I wish someone could hold my hand up and down these aisles and tell me what healthy food to buy. This was me several years ago as our family first started making the switch to more real, whole foods. I was quite overwhelmed and intimidated. There’s A LOT of great information out there about how to feed your family real food, but honestly, some of it can seem very all-or-nothing. You feel like you have to change everything you’ve ever known about food and eating overnight. You wander through the grocery store thinking basically all the food is bad, for one reason or another. It can even be so discouraging it keeps you from making any changes at all. Fortunately, it doesn’t have to be that way. There are simple, easy switches you can make the very next time you go to the grocery store that can have a positive impact on your family’s diet and health. And many of these changes can also have a positive impact on the environment as well. All it takes, is just a little tweaking to your grocery list. I’m here to walk you through those simple changes today! If you usually reach for margarine at the store, it’s time for you to stop! Margarine is made of trans-fats, which have been found to be extremely harmful to our health. And while much conventional nutrition advice says to avoid saturated and animal fats, like butter, the truth is, that’s bad advice. So make sure you grab butter, instead of margarine, on your next trip to the grocery. Good: Salted Butter – any grocery store brand of salted butter is a better choice than margarine. I tend to avoid unsalted butter because it contains natural flavors and you never really know exactly what that means. Better: Butter made with milk from cows not treated with rBST/rBGH is the next best choice. Our family likes and uses Challenge Butter often because I can usually get it on sale and each box includes a coupon that I can use for my next purchase. Buying organic butter would even be one step better. If you have access to a store brand of organic butter, like Whole Foods or Trader Joes, they are reasonably priced. Best: Grass-fed butter is the best and healthiest choice. Kerrygold is a popular grass-fed butter that’s widely available at chain grocery stores now. I can find it at Aldi, Meijer, and Costco. But, it is pricier, and you will probably notice a difference in taste. While cereal, cereal bars, and instant oatmeal packets are standard breakfasts foods, you can (and should!) replace them with one simple, versatile ingredient: rolled oats. Having rolled oats on hand gives you so many options for healthier, nutritious, and affordable breakfasts! Stovetop oatmeal is so simple and only takes about five minutes to make. It’s a staple in our house on weekday mornings. My kids love it with cinnamon, vanilla, and coconut oil mixed in while cooking and topped with frozen blueberries. With oats you can also make homemade granola to replace boxed cereal, or to put on top of yogurt with some fresh fruit. There are also so many options for make ahead baked oatmeal, refrigerator oats, oatmeal in the crockpot, and even oatmeal pancakes! Just do a quick Pinterest or Google search! Good: Basic Rolled Oats – any store brand rolled oats are a healthy and economical choice. Best: Organic Rolled Oats – especially when purchased in bulk to save on packaging. Most of us are likely to grab boneless, skinless chicken breasts at the grocery because that’s what we’re familiar with. If you’re anything like me, the idea of cooking a whole chicken either scares you, grosses you out, or both! But I promise you, it’s really not scary at all! Cooking a whole chicken is actually a super easy and affordable way to feed your family high quality protein and then save even more money by making delicious and nutritious homemade chicken broth! Once you have your whole chicken, it’s super easy to cook it in the crockpot! Or now I use my instant pot! Then when it’s finished cooking, you can also make your homemade chicken broth in the instant pot or crockpot too! Pick out a whole chicken the next time you’re at the grocery store, and see just how easy it can be! Good: Whole Chicken raised without antibiotics – Many chain grocery stores now carry more naturally raised chicken. I can find this type of whole chicken at Aldi and Meijer. Better: Organic Whole Chicken – Definitely a little more expensive then chickens raised without antibiotics, but the organic label also means they’ve been raised on organically certified land, fed a non-GMO, certified organic diet, and had access to the outdoors. I can find organic whole chicken at Costco for a decent price. Best: Pasture-Raised, Local Whole Chicken – Although this is not a grocery store option, if you have the time and resources it’s a great idea to find a local farmer who raises their chickens on pasture and with organic practices, whether or not they are certified organic. You may be able to find this type of chicken at a lower price than organic whole chickens at the grocery store! Salt might seem like a strange item to end up on this list. But the kind of salt you use matters. Did you know that most conventional table salt has been stripped of the necessary trace minerals naturally found in unrefined sea salt? And it often contains additives like anti-caking agents, and sometimes even sugar (dextrose)! Choosing unrefined sea salt instead of table salt is one of the easiest switches you can make. Just use the sea salt the exact same way you use your table salt – in cooking, baking, and flavoring your food. I use and love Redmond’s Real Salt and can find it at all my local grocery stores. If you have leftover table salt you don’t want to waste, check of these effective ways to clean your home with salt! Best: Unrefined Sea Salt that contains natural trace minerals. Like butter, full-fat dairy has gotten a bad rap because of its saturated fat. But fat in your diet is definitely not something to be scared of, eating fat does not make you fat. In fact, you need to have some fat in order to retain the fat-soluble vitamins A & D in the dairy products. Another issue with low or no fat dairy products is that they contain a lot of additives in order to make them taste like their full-fat counterparts. Here’s a look at a national store brand’s fat free sour cream ingredient list: Cultured Pasteurized Nonfat Milk, Modified Food Starch, Contains Less Than2% of: Whey, Cream, Artificial Color, Propylene Glycol Monoester, Sodium Phosphate, Agar, Xanthan Gum, Cellulose Gel, Locust Bean Gum, Cellulose Gum, Vitamin A Palmitate, Polysorbate 80, Natural & Artificial Flavor, Enzymes. Besides the artificial colors and flavors, and chemical additives, even though it’s supposed to be “sour cream”, cream only makes the list after the “Contains Less than 2% of”. Something about that is just off to me. Compare that to a highly recognized national brand’s ingredients in their sour cream: Cultured Cream. So skip over the low-fat dairy products and choose the full fat versions instead. Good: rBST/rBGH Free Whole Milk and dairy products – rBST/rBGH are hormones given to cows to increase their milk supply. I personally don’t trust artificial hormones in my food, and don’t want those hormones to be passed on to my growing kids. Read the labels to make sure your milk and other dairy products are rBST/rBGH free. Fortunately, you can easily find hormone free milk at the grocery store, and there are national brands committed to using hormone free milk in their dairy products too. A note on milk: organic milk is not necessarily a better option in this case, as most organic milk is ultra-high-temperature (UHT) pasteurized. This basically allows the milk to be shelf-stable, meaning it could sit unopened in your pantry, and voids it of much of the nutritional value. Here’s an article that discusses the different pros and cons of choosing organic milk. Better: Organic dairy products like yogurt, sour cream, cheese, etc. When available, organic dairy products can be a great choice. 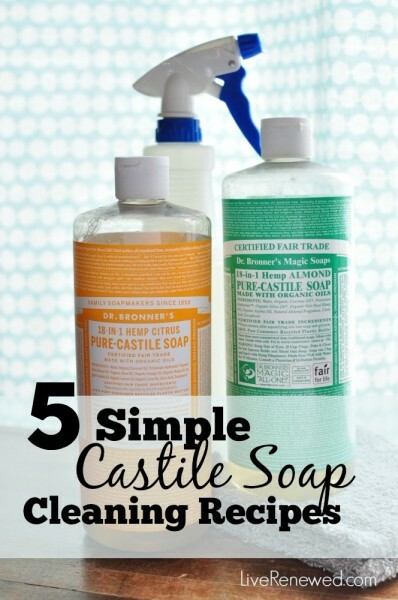 These products must be made with with milk from cows not treated with rBST/rBGH, not given antibiotics, fed organic, GMO-free, feed, and given access to pasture. I have been very happy to find more and more organic dairy products available at Aldi! Best: Local, grass-fed milk. If you have the time and resources, try to find a local dairy that produces grass-fed milk and other dairy products. Even better if you can purchase that milk in a local grocery or health food store! I was pretty proud last week, as I was checking out at Aldi, my cart full of natural and organic products and lots of produce, the cashier exclaimed, “This is the healthiest cart I’ve seen in a long time!” Now that I know what to healthy foods to buy, and what foods to avoid, grocery shopping is no longer stressful or overwhelming! Making these simple changes to your grocery shopping is a great start to feeding your family healthier, real food. Now you’ll be able to fill your cart at the grocery store with confidence, knowing you’re making good choices for your family and for the environment! Next week we’ll talk about five more simple changes you can make for an even healthier shopping cart (this post was getting a little long)! What are your favorite healthy foods to buy at the grocery store? How have you made the switch to buying real food at the grocery store? Share with us in the comments!